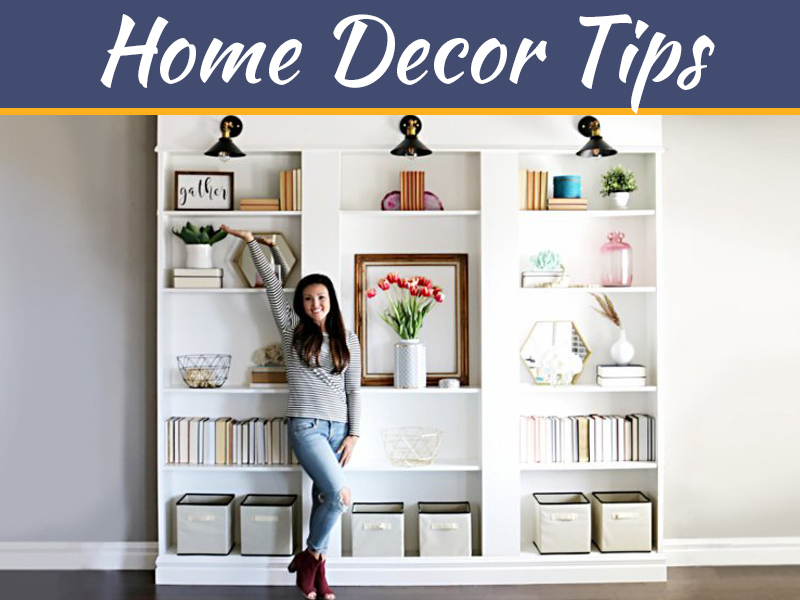 If you love the beach and you want to decorate a room with a beach motif, you will be glad to know this is not going to be a difficult project at all. 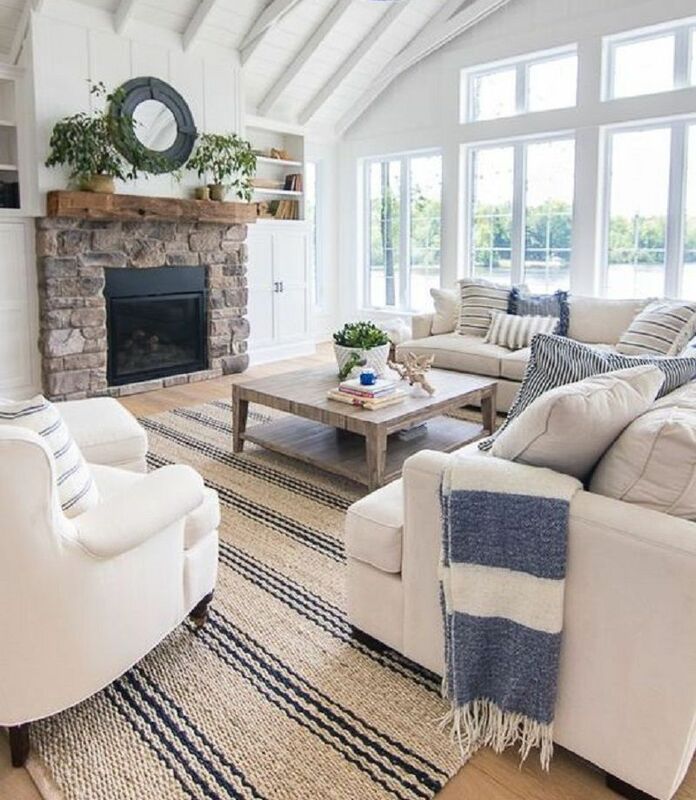 Take a look at these rooms and gather the ideas you need to create the impression that the seashore is close by. 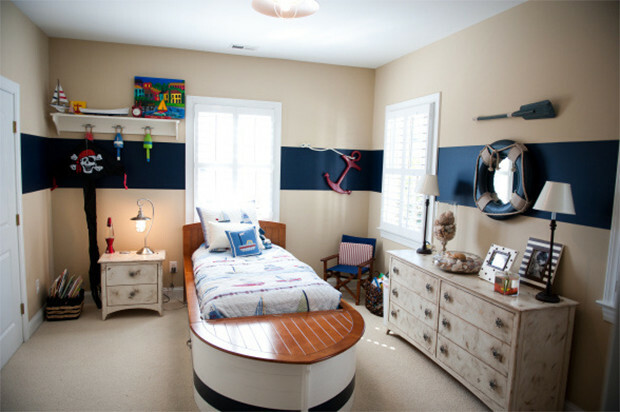 There is no doubt that this room belongs to a sea lover. 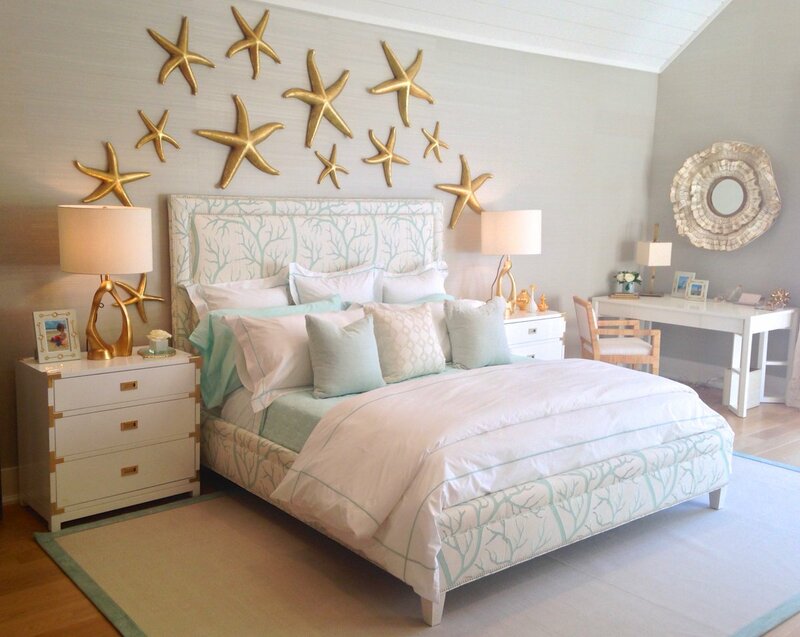 This affinity with the sea is shown with few pieces of coral strategically placed above the headboard, the starfish design on the throw pillows, and the mild green color of the shams. 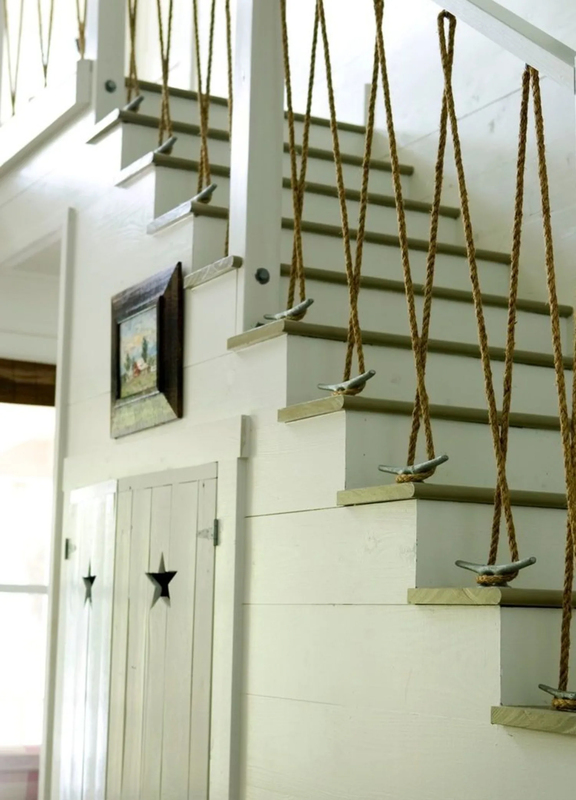 This staircase shows how rope made of natural fiber brings with it a distinctly nautical air. If your staircase is similar to the one in this picture, consider twisting rope creatively around your banisters for the same ambiance. Here’s a room that shows you how the surf and sand can seem but a few steps away. The plants add a decidedly tropical beach atmosphere, and the wicker lounge chairs are enough to make you think it’s time for a cool drink and lots of sunblock. Take note of the clever way a beach towel completes the look. 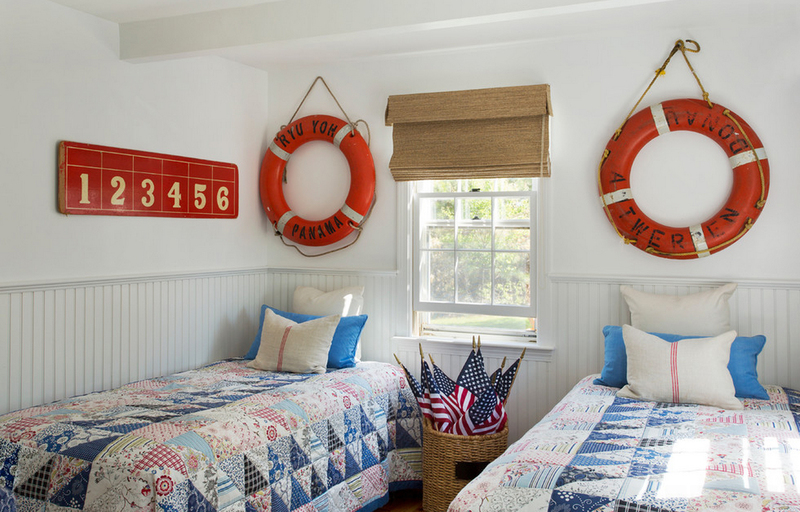 The striped blue-and-white bedspread, the framed nautical pictures, and the wicker all combine to imbue this room with the comfortable and steady rhythm of the sea. This room illustrates how a bedspread, a headboard and a couple of frames can give a room its character. 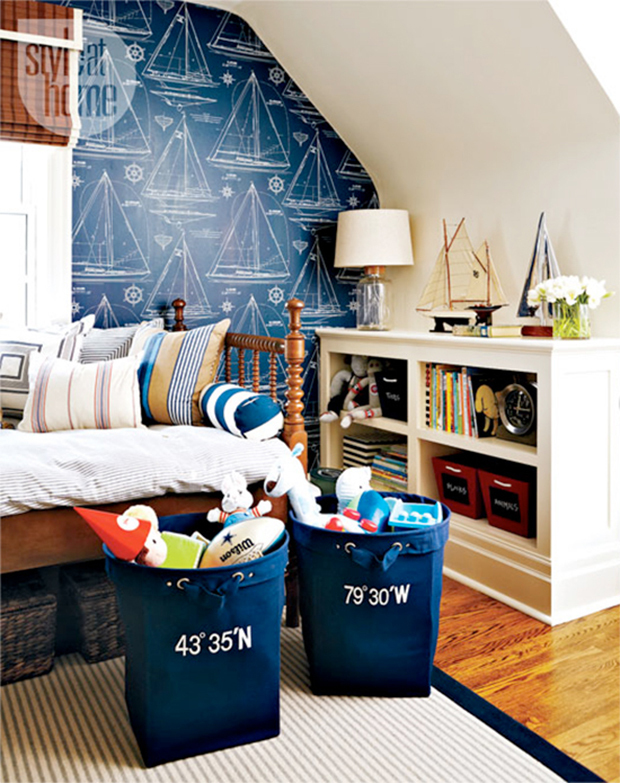 Sharing a room can be so much more fun for siblings if the room looks like a cabin in a boat. A pair of orange life rings serve as the defining touch in this youngsters’ haven. Who says there’s an age limit to beach themed rooms? Here is a classic blue and white nursery where a toddler can enjoy calm naps and carefree play time. Here is another example of how a room’s identity can change completely with just the addition of one distinguishing accessory. The life buoy on the wall behind the bed gives this room exactly what it needs to create the illusion that the occupant is not at all far from the sea. 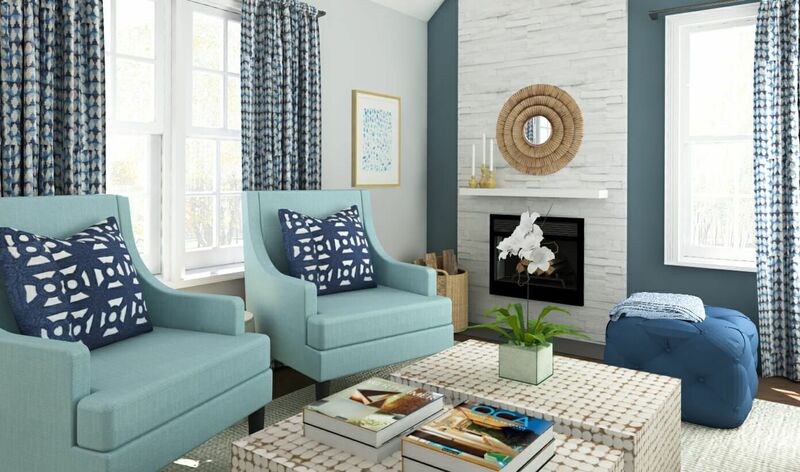 This sitting room acquires its beach theme without limiting its colors to blue and white. 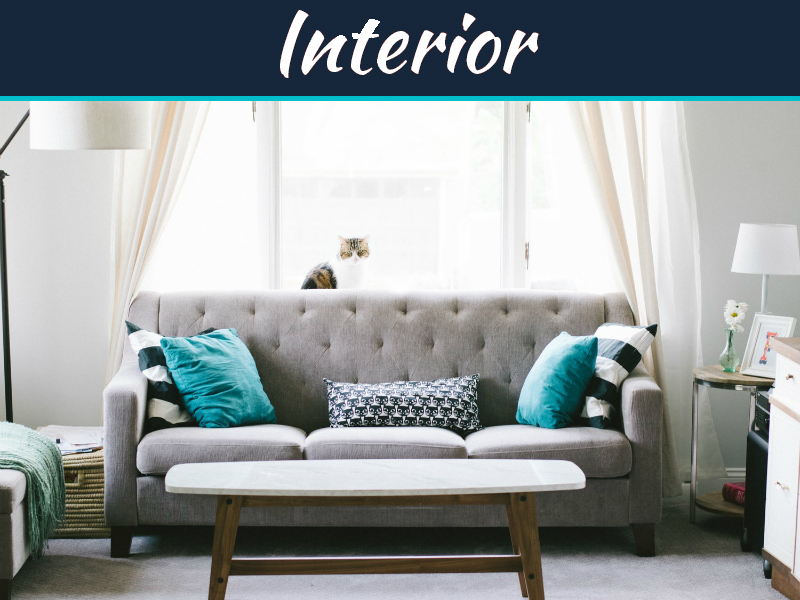 In fact, it has everything all the colors that you might find in a comfortable sitting room. However, the boat’s steering wheel serves as focal point in the room and links the room to the sea. 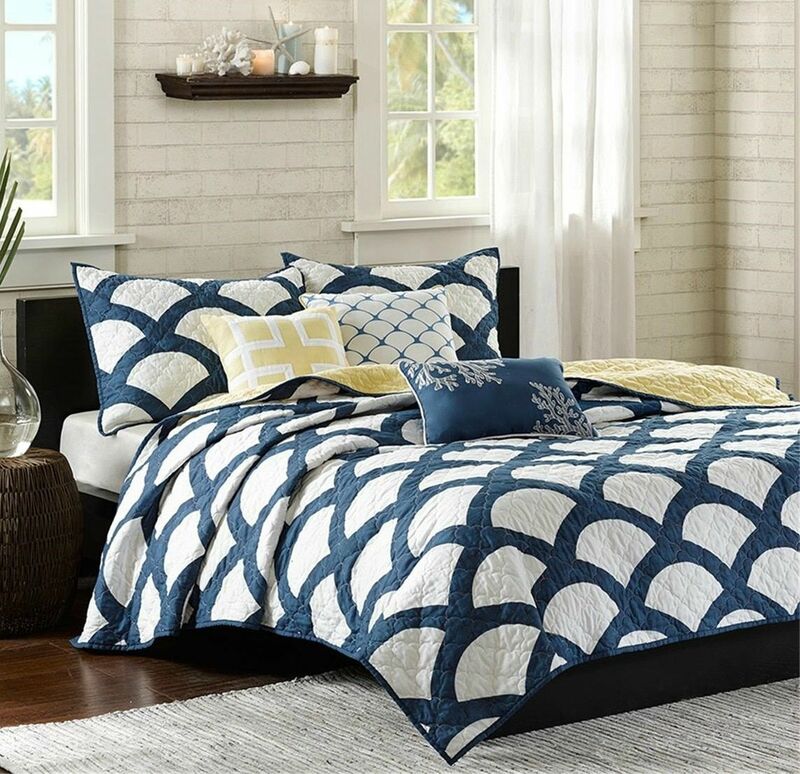 Rooms can display beach culture with just a few well-chosen accessories or colors that remind you of the ocean or the seashore. 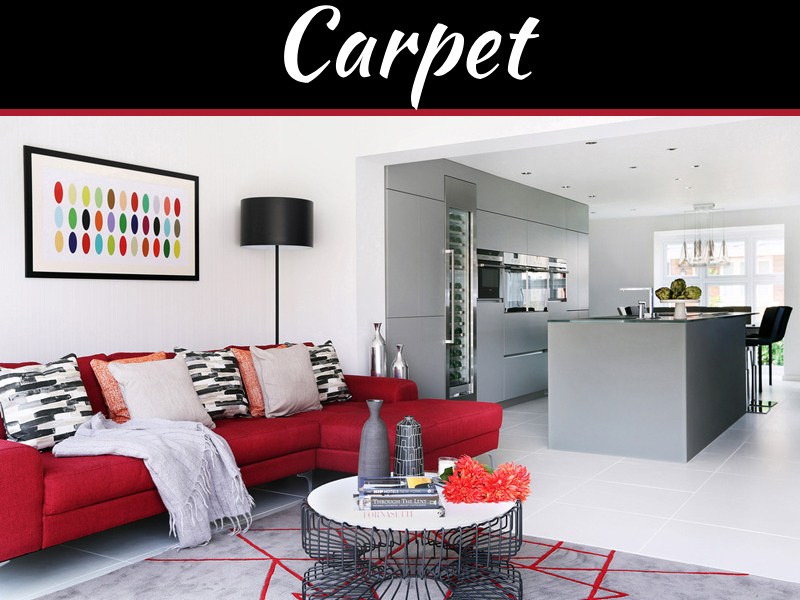 All it takes is for you to think about what can really bring the sea right into your home. 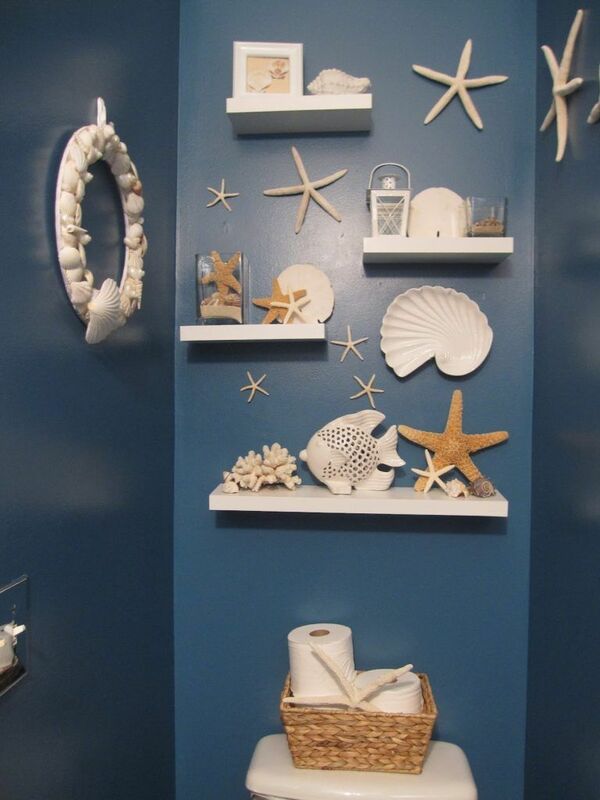 Beach themes are easy to execute in bathrooms. With a few shells, some wall accessories, and two round mirrors are enough to echo the mood you might be in if you were looking out of a ship’s window. A bed shaped like a boat is precisely the touch of whimsy that will make any youngster feel like a seafarer. 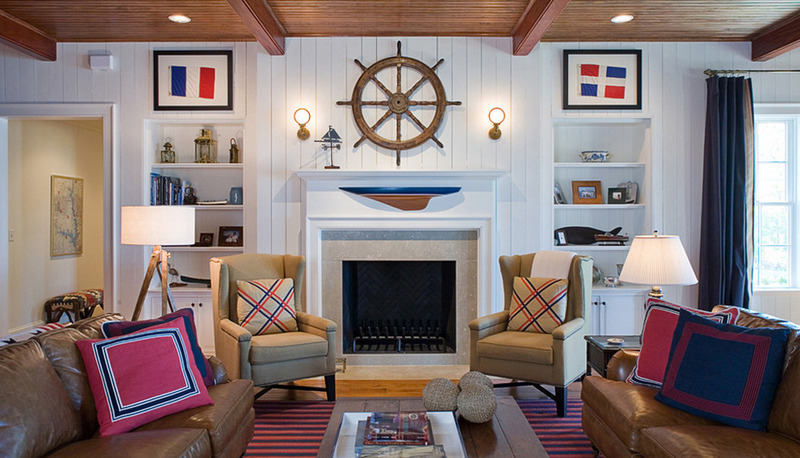 A paddle, an anchor, and other accessories add to the totally nautical look of this room. 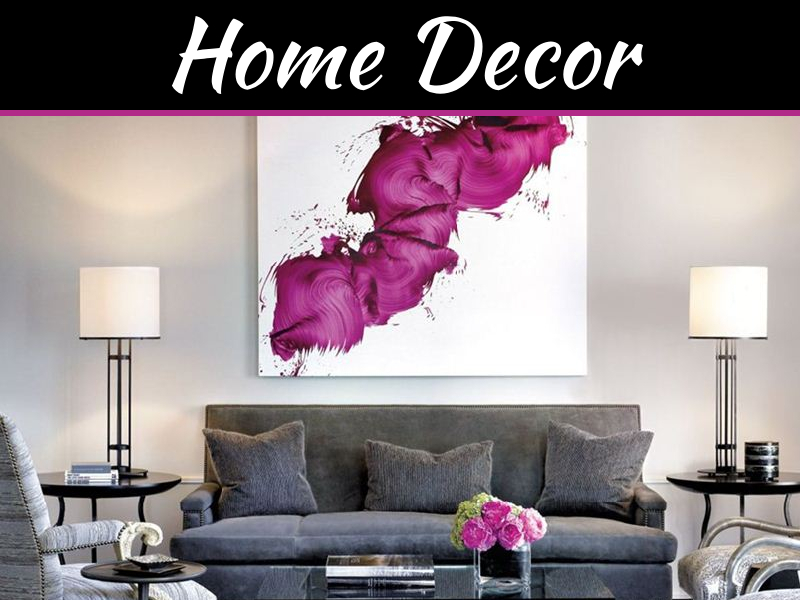 For more design ideas, head to Modernize.com.